DO BIG THINGS RIGHT, EVERY TIME. Small vehicles, but a huge amount of calls? Take the bull by the horns and take on even bigger jobs with confidence. With the 10TB Series, rest assured you are backed by a compact unit built to quality standards for high performance excellence. WORRY FREE: Designed to deliver the same toughness and durability as our industrial models, the 10TB’s oversized components and optional galvanized finish mean you spend more time on the road while keeping maintenance costs to a new low. MORE PAYLOAD! : 10TB carriers are capable of handling any call you get, from low riding sports cars to SUVs or light trucks. Consider our light extruded aluminum deck, which is both strong and yet can significantly increase your payload. Our 10TB Series carriers are always ready to roll …for the action that brings the money rolling in. EASY RECOVERY? : With their strong and sturdy construction, NRC Carriers make recoveries safer, easier and more cost effective. Use the roller guide and recovery spades to side or straight pull from the end of deck. Now, an essential piece of equipment that’s both powerful and affordable. Reach fully retracted : 73"
Reach fully extended : 111¾"
Reach fully retracted : 86"
VReach fully extended : 135¾"
EXPAND YOUR MARKETS. WIDEN YOUR HORIZONS. EASY RECOVERY? 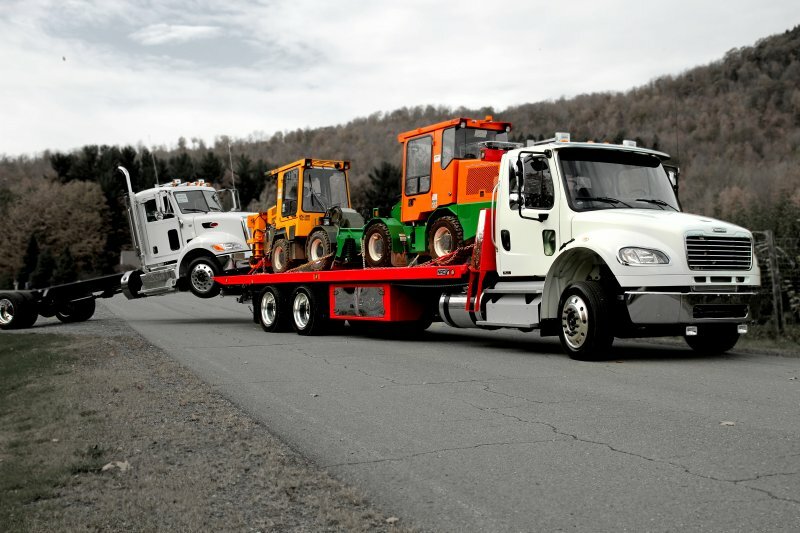 : With their superior construction, NRC Carriers make recoveries safer, easier and more cost effective. Use the roller guide and recovery spades to side or straight pull from the end of deck. Now, an essential piece of equipment that’s both powerful and affordable. VERSATILE? : From roadside assistance calls, to recovery jobs, to transportation contracts, the versatility of the 20TB Series means you can do it all. Lower the upper deck on top of the main one to take fully advantage of the low deck height as well as the added clearance. The 20TB-DD Series is decked out. No optional equipment is offered with this model. MADE FOR THE BIG FISH. GREAT FOR THE SMALL FRY. Because they count on you, you rely on the 30TB Series. Don’t let your heavy duty customers shop around for their light duty needs: get the carrier that does everything right. 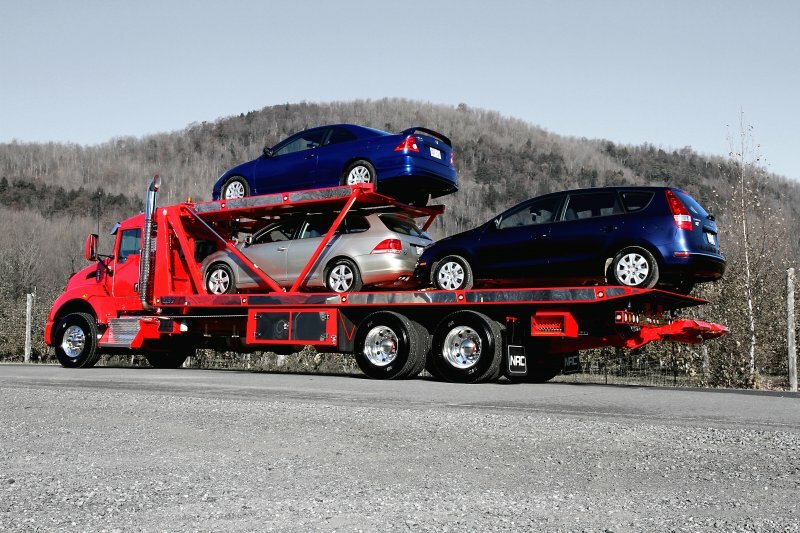 Load up heavy machinery and tow a car, all at the same time, if need be. Get the most from every mile you travel. 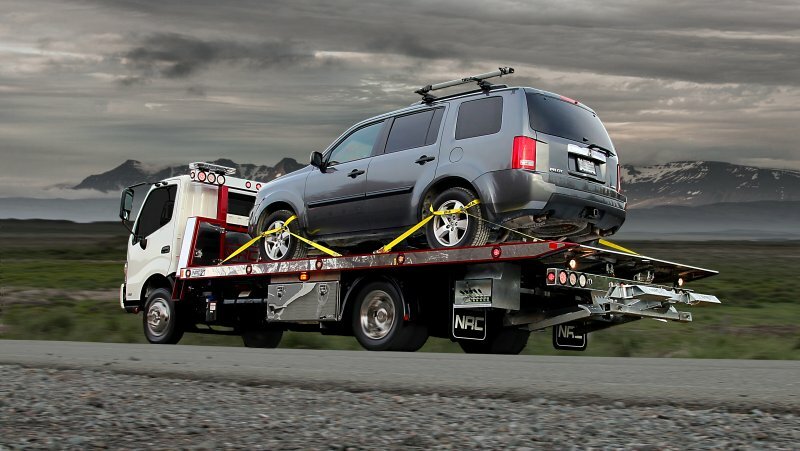 FLEXIBLE: While its 15-ton capacity deck hauls anything from cars to machinery, the 30TB’s super/medium duty tow bar can tow a truck on the way to the call, and a car on the way back. DO MORE: Lower deck height, strong and lightweight design as well as powerful hydraulic components, make 30TB Series carriers easy to use and outstandingly efficient and dependable. Do more, spend less. TRUCK RECOVERY? : Yes! With their tough and sturdy construction, NRC Carriers make recoveries safer, easier and more cost effective. Use the roller guide and recovery spades to side or straight pull from the end of deck. Now, an essential piece of equipment that’s both powerful and affordable. Big loads, extreme conditions, tight schedules? When you own or operate a 40TB Series carrier, you impress the most demanding customers. Be the only one on their call list. LONG LASTING STRENGTH: One call after the other, the 40,000 – TB Series is built to move anything that needs moving. 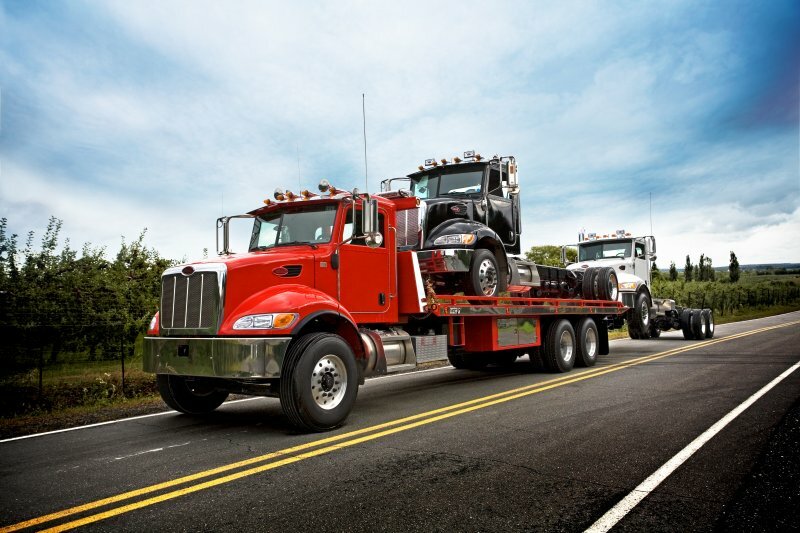 Its reinforced deck beams, rigid cross-members, and oversized subframe components push the limit of what a rollback carrier can haul in a day, every single day. 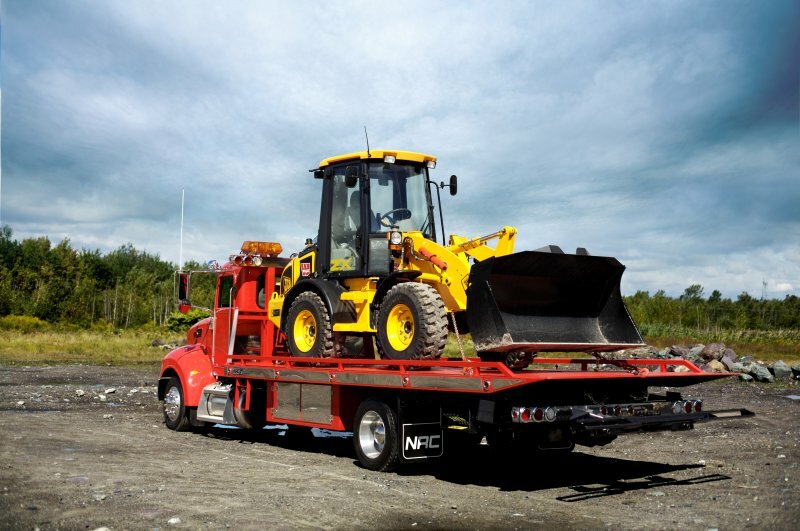 VERSATILE: The 40TB tow bar’s 10 T lifting capacity and 25 T tow rating means you can go a step further and tow heavy trucks while hauling cargo on the deck. 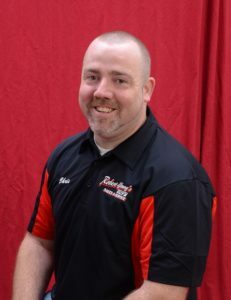 You get to optimize your operations and tractor swaps make it even more profitable. EXTREME RECOVERY? : With their strong and sturdy construction, NRC Carriers make recoveries safer, easier and highly cost effective. Use the roller guide and recovery spades to side or straight pull from the end of the deck. Now, an essential piece of equipment that’s both powerful and affordable.